Spring weather is around the corner and warmer days will arrive with the coming of summer. When we get outdoors to do some chores, we'll be checking around the house to see what the wintertime weather has left us with. There may be stains and debris on the roofs, dirty snow stains on the driveways, dirty fences, patios and decks. If you live in Mattapoisett, it won't be long before the snow goes away and the exterior of our homes need cleaning. It's important to get rid of any salt that's leftover on the sidewalks, patios, and driveways. Residents in the area will be sprucing up their homes, and getting them ready for the summer season we all love. 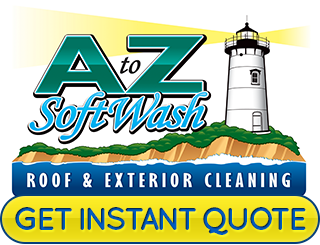 Our Cape Cod Roof Cleaning pros at A to Z Softwash will be taking care of a lot of exterior cleaning and roof cleaning projects for Mattapoisett customers. If you plan to do some exterior cleaning like washing the siding or cleaning the roof, consider getting help from our pressure washing crew. We can make the job easy for you. 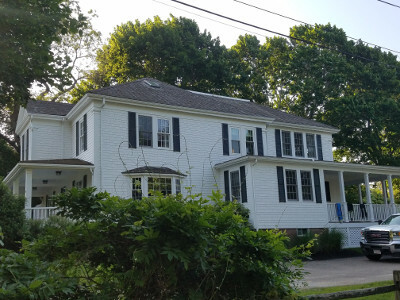 Our Mattapoisett roof cleaning pros can get your home renewed and looking great again. From the top of your roof to the curb, your curb appeal will be restored and your home's exterior will stand out on the block. If you want to make your home look as it did years ago, let us help you wash all those years of grime and buildup off your exterior surfaces. We can clean your roof, siding, sidewalks, fences, and more. The more you see, the more you'll love our services and how well your property looks. Put your home in the hands of our professionals, and you're sure to get expert, quality service! Your home is waiting to get cleaned up and there's no better or more convenient way than with our expert Mattapoisett pressure washing services. Call today for a competitive estimate! It's amazing how discolored wood can get after only a year or two's worth of exposure to the weather. Your beautiful new fence doesn't stay beautiful for long. Most people realize the fence needs cleaning only after seeing green algae building up on the surface. However, it probably needed cleaning long before this. If your Mattapoisett fence has never been cleaning, consider refreshing it with pressure washing. We use a very effective softwashing technique that safely removes the buildup on your fence surfaces. Your fence will look brand new again! 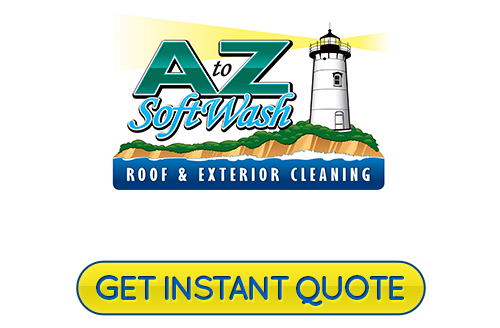 If you are looking for a Mattapoisett, MA roof cleaning and exterior pressure washing service, please call 508-209-7795 or complete our online request form.